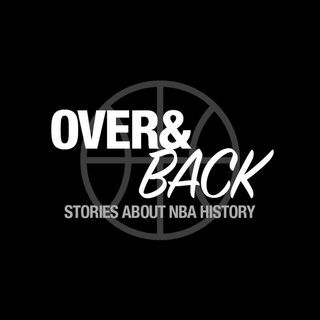 In Part 1 we worked our way through the early days of the NBA, the Boston Celtics' dominance in the 1960s and the continued and consistent parity of the 1970s. In Part 2, we look at the 1980s including changing legacies for Larry Bird and the Boston Celtics, Magic Johnson and the Los Angeles Lakers striking out in the early parts of the decade and Kareem Abdul-Jabbar failing to live up to lofty expectations in Los Angeles. In the 1990s, we look at a very different early portion of the ... See More decade with Michael Jordan and the Chicago Bulls only winning one title, Portland getting back to the promised land and a few other surprises along the way. The San Antonio Spurs dynasty starts early and the Seattle Supersonics finally get their championship. In the 2000s, we transformed Kobe Bryant's career with only one championship to his name, Chris Webber, Peja Stojakovic, Mike Bibby and the Sacramento Kings change their fortunes with a championship and Dirk Nowitzki's legacy has a different look with an early decade championship for the Dallas Mavericks. Finally, in the 2010s, LeBron James goes back-to-back in Cleveland, Tom Thibodeau's Chicago Bulls win two championships and well, the Golden State Warriors are still the dominant team of their era. In the last segment of the show we look at franchise's who either gained or lost championships in this exercise and have a lengthy discussion about teams that failed to win any championships in their franchise history and worse, also failed to win a single "pennant".